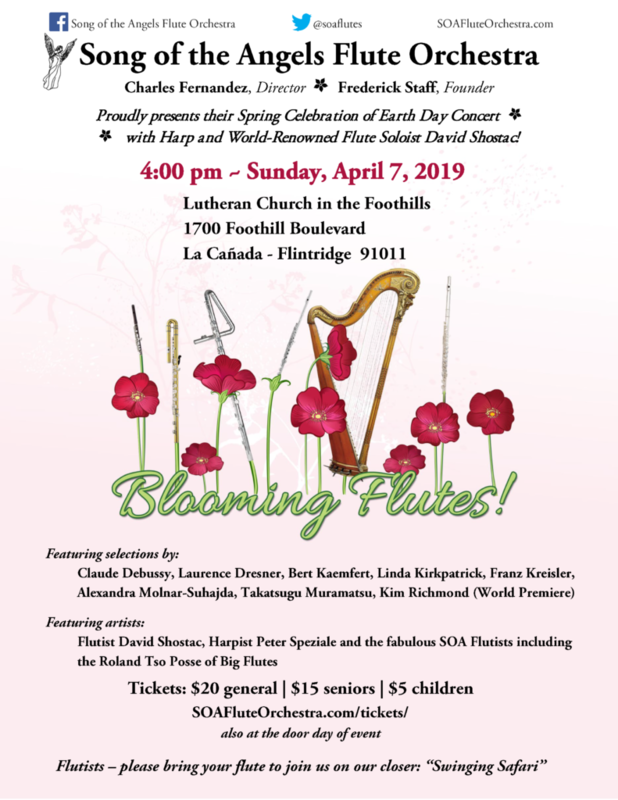 Featuring flute soloist David Shostac, harpist Paulette Miller, and SOA soloists Deborah Mac Murray. This entry was posted in Performance by soafluteorchestra. Bookmark the permalink.